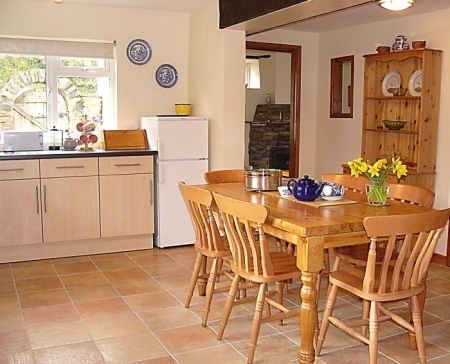 Swallows Nest Cottage - Sleeps 4 plus cot. 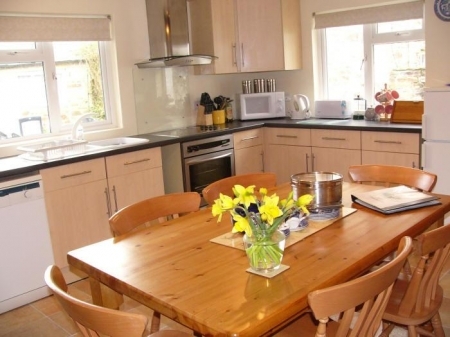 This wooden-beamed cottage offers three-bedroomed accommodation, consisting of a double bedroom, bunk bedded room and a shower room on the ground floor. This two bedroomed cottage enjoys sea views, has open plan kitchen/lounge and dining area, one double bedroom and one bunked bedroom, along with a shower room, wc and hand basin. Flat screen TV, Freeview and DVD. Open planed kitchen and dining room area. Large outside balcony with furniture which overlooks the pool.